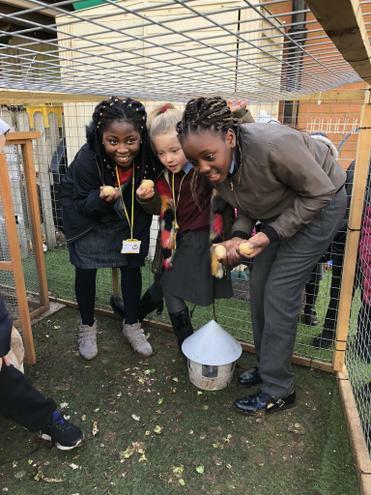 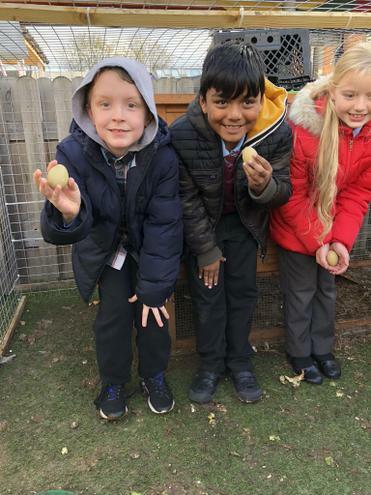 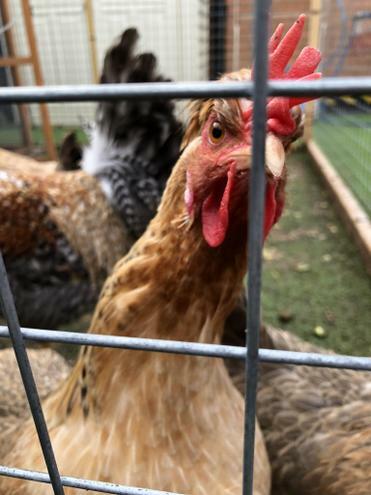 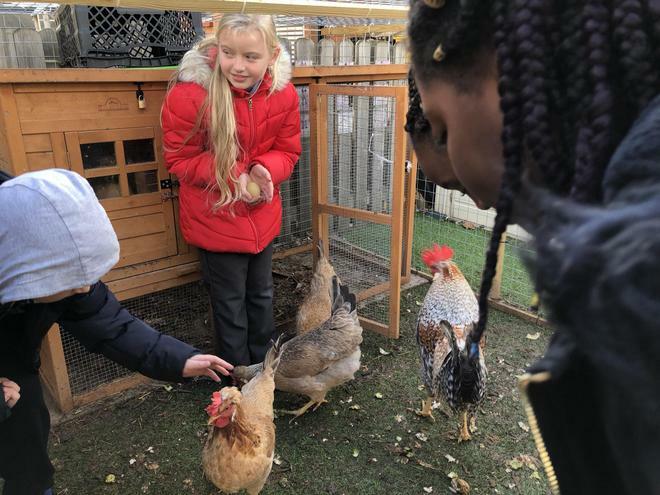 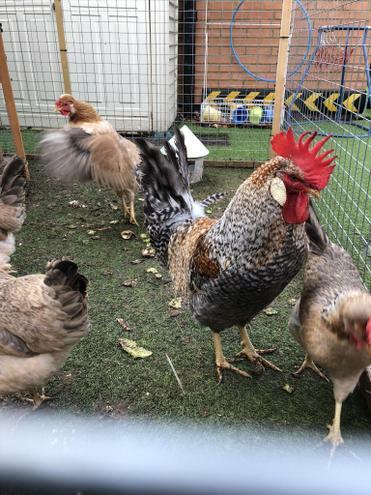 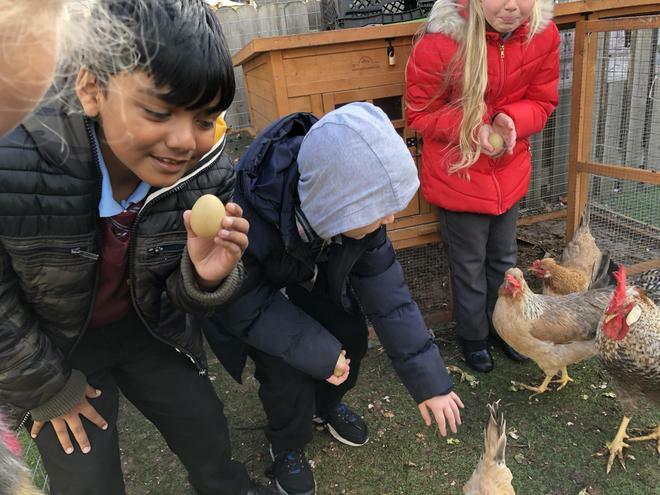 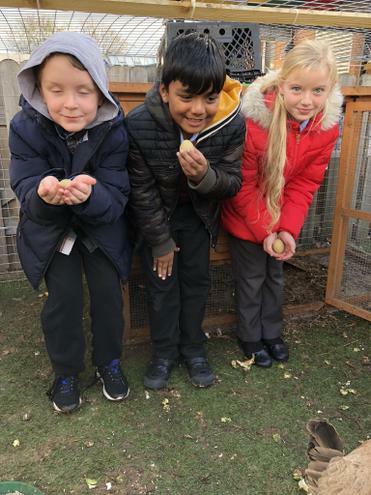 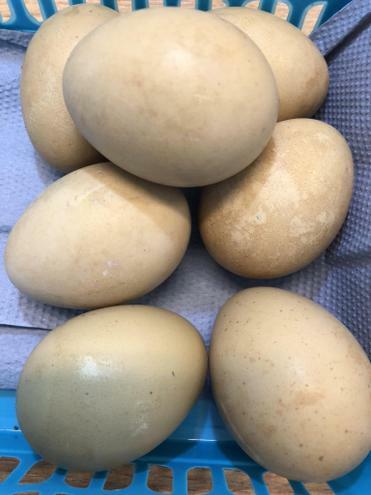 Since the year 4 children will be writing stories about evacuees who go to live on a farm, we took them outside to collect the weekend eggs from our chickens. 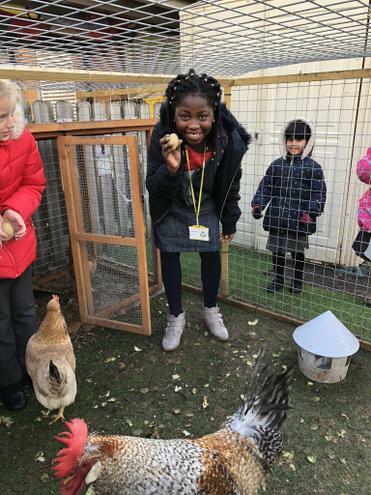 Some of the children were a bit scared of the hens. 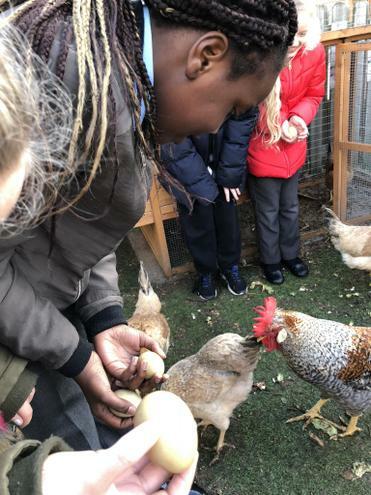 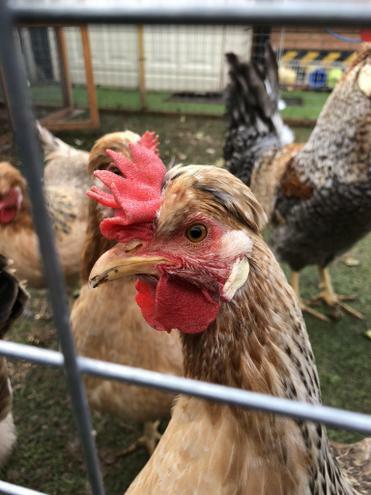 We imagined that children from London, arriving on a farm for the first time in their lives, might have felt the same way about chickens.